A dental tooth extraction is recommended by Dr. Elliot when tooth decay is severe and nothing can be done to save the tooth, or when the tooth is infected or vulnerable to infection. In general, the best option is to save the tooth with procedures like fillings and when there’s nerve damage a root canal can be performed. But when decay extends deep under the gum, the tooth is cracked, severe periodontal disease is present, or a tooth infection cannot be resolved, a tooth extraction is recommended as the best option to restore your dental health. 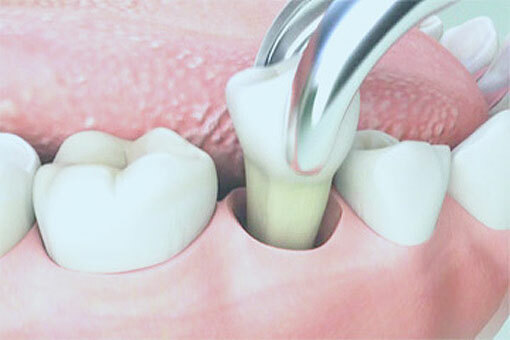 Dr. Paul Elliot has extensive experience helping patients with tooth extractions. He is very good at minimizing pain and discomfort during and after the procedure. Patients usually recover within a few days but it is important that you follow our post-op instructions for a fast recovery and to reduce bleeding. 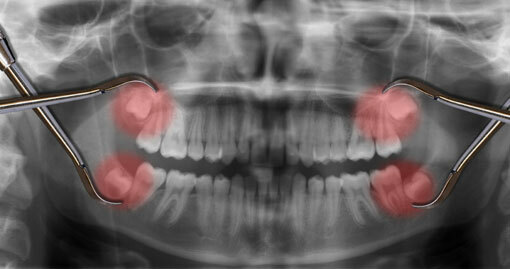 What are impacted wisdom teeth? Impacted wisdom teeth are unable to erupt and may have grown in at an awkward angle or are blocked by another tooth or even your jawbone. Over time, your impacted tooth could cause problems such as decay, damage to other teeth or pain. Do you know someone who is having problems with their wisdom teeth? Dr. Paul Elliot will be happy to see them and help them decide whether extraction of wisdom teeth is necessary.